Ford has revealed all the details of the European spec EcoSport and ofcourse there are lot of differences as expected. 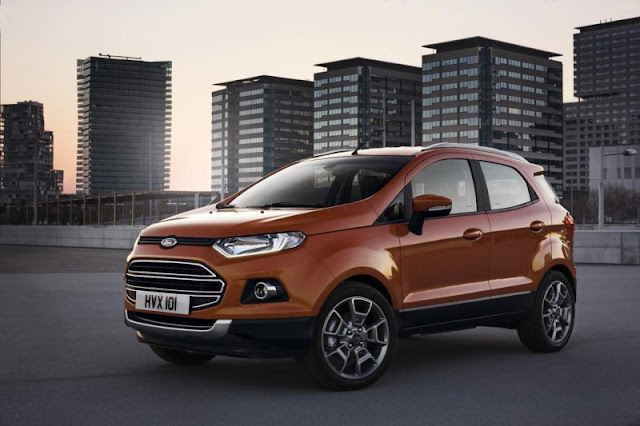 EcoSport in Europe is also installed with the Ford SYNC voice-activated in-car connectivity system as well as SYNC Emergency Assistance. 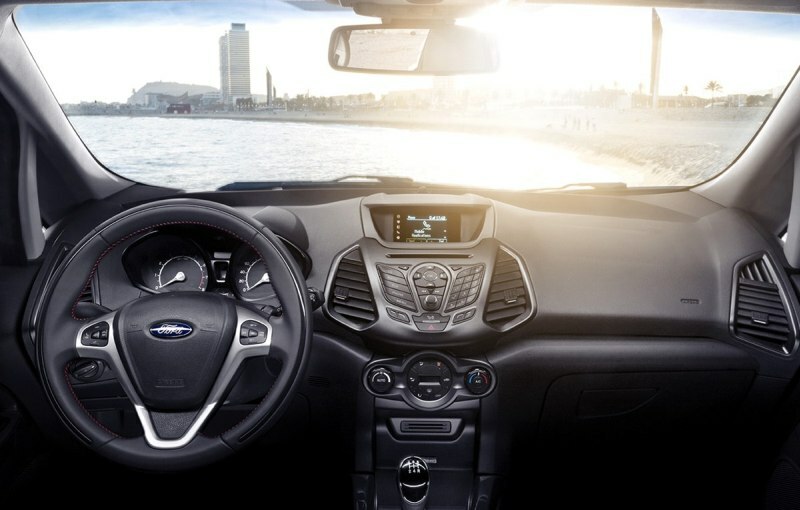 The EcoSport will also offer Ford SYNC AppLink, which allows drivers to voice-control smartphone apps while driving. Note that the Emergency Assistance feature may not be available in the Indian market. Apart from EcoSport, which would be launched in European market this year, other two SUV's to be launched would be Kuga (the C-Segment EcoSport) and the next generation Edge. Also, along the interiors, inspite of the dual tone interiors, Ford in Europe offered totally black colored dashboard and even steering wheel with red stitched wheel. On the exteriors too, Ford retained the web shaped Alloy wheels. View Images for more details.